Continuing with the discovery of California History while driving around town and noticing street signs, today we find the next major explorer after De Portola. There’s a road in my town that runs north/south through the Southern California countryside, passing wineries, mansions, and equestrian ranches. 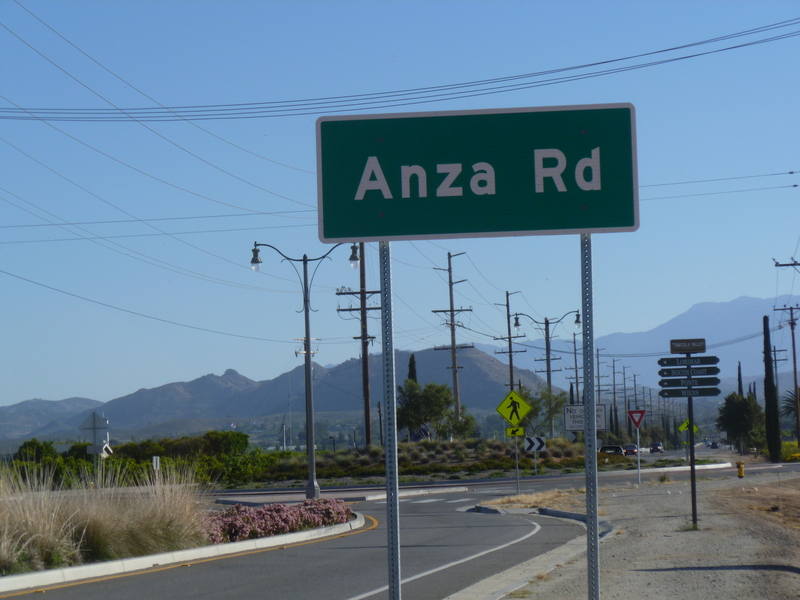 It’s called Anza…and there’s the real Senor de Anza traversed the general region where the modern road is today. After the Sacred Expedition – led by Gaspar de Portola and Father Serra – established the first missions and presidios in California, the fledging colony went through some rough times. California was a frontier of the Spanish Empire, and a viceroy (governor) in Mexico oversaw the government of the new outposts. Unfortunately, all supplies for the missions and presidios had to arrive by sea…and winds and tides weren’t always cooperative. And sometimes the viceroy didn’t send enough food…or forgot. For the next decade, famines at the little Spanish settlement were semi-common occurrences. Finally, Viceroy Bucareli – down in Mexico – decided there must be a better way of getting supplies up north. If he could establish a regular supply system, he might also be able to send more colonists who could develop the land and made a useful and fiscally productive colony for Spain. Bucareli concluded an overland route from Mexico to the California settlements must be established…and Senor de Anza was the man for the job. Born on the frontier of Mexico (called New Spain at the time), Juan Bautista de Anza was surrounded by military influenced throughout his youth. Both his father and grandfather had been soldiers, and, by age eighteen, de Anza had also entered the military profession. He spent his time guarding the borders settlements of New Spain from attacks by hostile natives. It is believed that Juan Bautista’s father originally suggested a permanent overland route to California, but he was killed before receiving permission to go exploring. However, his son had more time to be persistent. On multiple occasions, de Anza asked, and finally Viceroy Bucareli agreed. De Anza would pay for the expedition in exchange for a reward if he was successful. In September 1773, all was ready. Captain de Anza was respected by his soldiers and friends for his good character qualities. A sense of justice and honor helped him gain the confidence of Bucareli and the members of the expedition. Twenty volunteers and two missionaries followed Captain de Anza as he set out from Mexico and prepared to the cross deserts and mountains to arrive in California. Making friends with the Yuma tribes was key to the expeditions success. Later, after getting lost in the Colorado Desert (which is not in the modern-day state of Colorado! ), de Anza and his men returned to a Yuma village for rest and provisions. He decided to try a different route, heading southwest to avoid to the sand dunes which had trapped them before. They climbed the mountains, pushed through the modern day Imperial Valley area and eventually reached the southern range of the Sierra Nevada Mountains. From there, they were able to navigate to San Gabriel Mission. After staying for a while, de Anza returned to make his report to the viceroy. An overland route had been found! Ordered to take a new expedition and build two missions and a presidio at San Francisco Bay, de Anza set off with two hundred forty new settlers. Most of the civilians had been recruited and brought over from the impoverished region of Northern Spain (Europe) and they were looking forward to starting a new and successful life in California. De Anza confidently led this group over the same trail and they arrived safely. In 1776 the presidio and settlement at San Francisco were founded. With this mission accomplished, De Anza, returned to Mexico. In later years, he explored the modern-day New Mexico region and opened new trade routes. He also served as the Spanish governor of New Mexico. 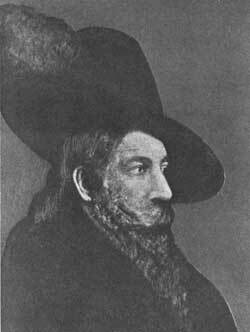 Captain de Anza explained to the viceroy and other leaders that the overland trail to California would only be accessible if they maintained friendly relations with the Yuma tribes. In both his expeditions, he had treated the natives well and gained their respect. However, the leaders of later expeditions were not kind to the Yumas. In 1781, the natives massacred a group of traveling settlers. The viceroys decided the trail was too dangerous and it wasn’t used again during the Spanish colonial period. The closing of the de Anza trail ended the serious colonization attempts in California by the Spanish. 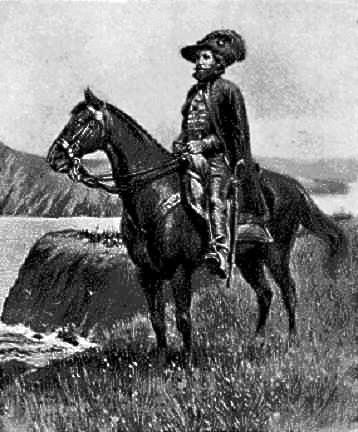 Juan Bautista de Anza opened the first successful overland route between Mexico and the California settlements. He was a famous explorer of the American Southwest. His expedition actual came through Imperial Valley which is not far from the road in yours truly’s hometown. P.S. Do you have a favorite “historic” street name in your town?